Cape Town is a major holiday destination on the southern coast of South Africa. More than 3.5 million people call the ‘Mother City’ home. 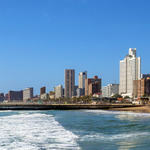 Cape Town offers you spectacular beaches, scenic winelands and a fusion of cultures. Top attractions include the V&A Waterfront, Table Mountain and Robben Island. Get ready to discover why many tourists flock to this city, because cheap Mango flights from Johannesburg to Cape Town are available! 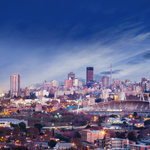 The city is the home of Cape Town International Airport (CPT), which is a 15-minute drive from the city centre. Book cheap Mango flights from Johannesburg to Cape Town at Travelstart today! Make sure you have your South African ID or passport to fly from Johannesburg to Cape Town. It will take you a 15-minute drive to reach the Cape Town city centre from Cape Town International Airport. 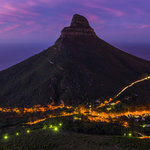 The best-known attractions in Cape Town include the Table Mountain Cableway, Kirstenbosch National Botanical Garden and the Heart of Cape Town Museum.